Execution Rocks Light Station, an offshore light, is located in the northwestern portion of the Long Island Sound in the center of the channel between Sands Point and New Rochelle, New York. It is about one mile offshore. The lighthouse may have gotten its name from the Revolutionary War era, when it is rumored British colonial authorities would execute people by chaining them to the rocks at low tide, although this is unverified. The light station is on a protective rip rap artificial island (approx. 0.7 acre) with a small boat basin. 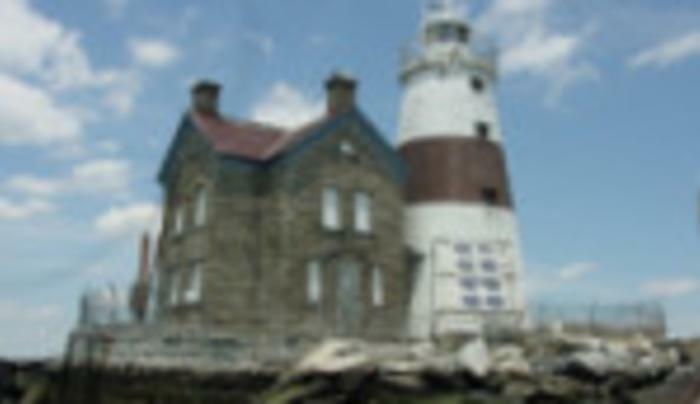 The light station was established in 1849 and the tower was first lit in 1850. The Light Tower was designed by Alexander Parris, the same architect that built Quincy Market in Boston and other lighthouses. It is built from granite and is an example of wave-swept tower engineering.